Your public safety career in one place. Manage your training, employment history, certifications and exposures. Congratulations! Your FirstForward account has been created. We need to confirm the email address provided belongs to you. Check your email inbox for a confirmation link. Your FirstForward member account has been created. You will now need to activate this account by clicking on a link provided in an email sent to . 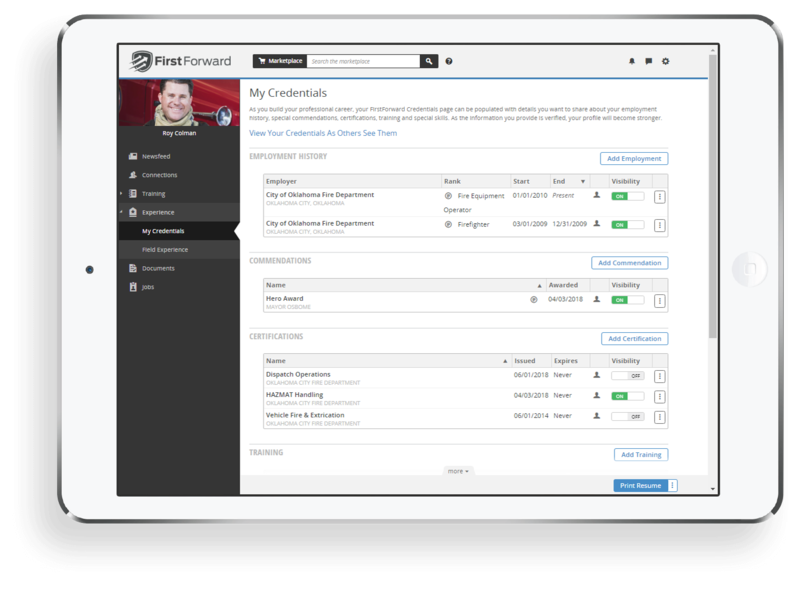 Once verified, your FirstForward membership will let you access a nationwide community of public safety professionals. 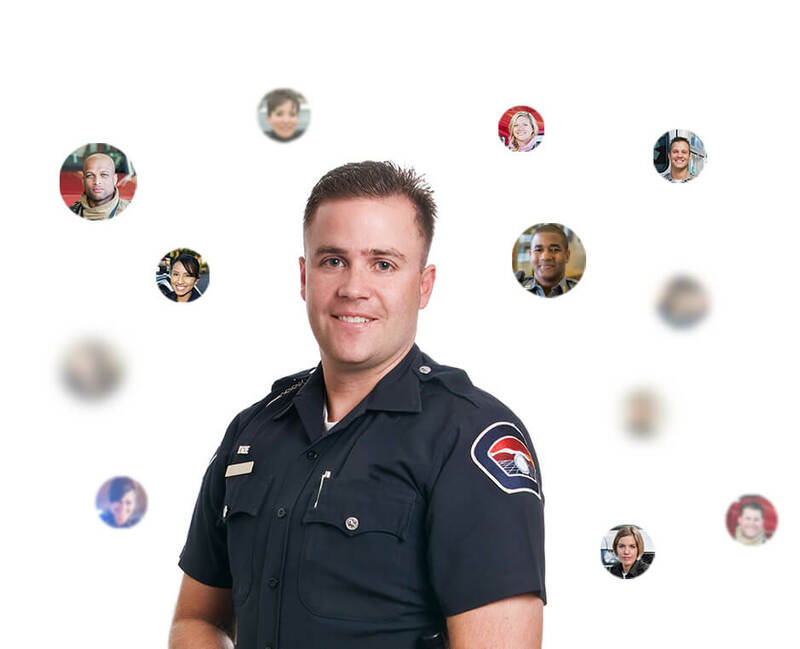 You and your peers will connect with each other, share critical news about your industry, and celebrate the heroic stories common to all first responders. Are you a training provider? Register as a vendor. Recycle the shoe box of documents. Paper records do not last forever. Get organized and create your free portable training record. Learn new skills to advance your career. 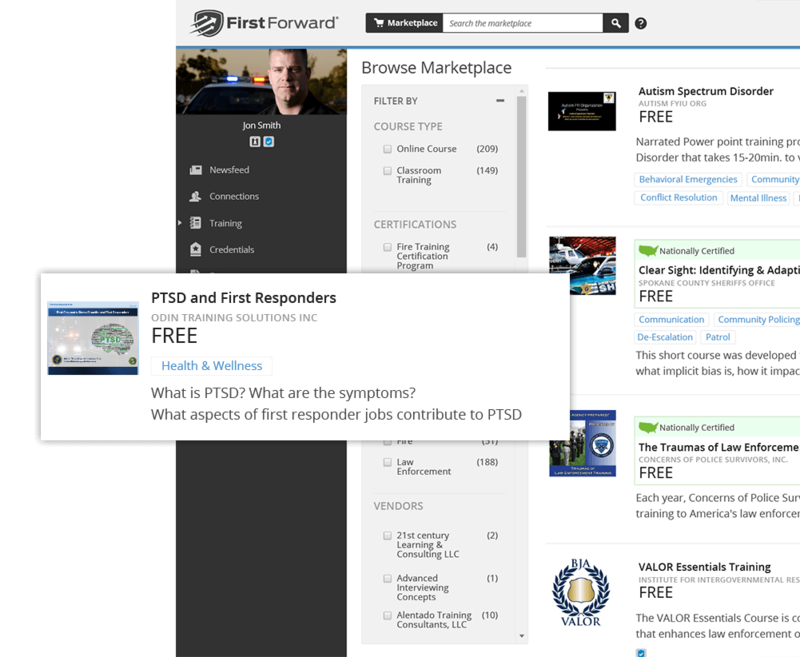 In the FirstForward Marketplace, there are free and paid courses to help you learn new skills and brush up on old ones. Find courses from these trusted training providers, and more. Learn from the experience of your peers by interacting on the newsfeed. Also, share the knowledge and ideas you have obtained over the years. through training management, policy documents, certifications, and performance reports. FirstForward is a product of Envisage Technologies. At Envisage Technologies, we're passionate about solving some of public safety's most pressing problems through software.